"The Russian Federation has not implemented a single resolution within the Council of Europe." Ukraine objects Russia's return to the Parliamentary Assembly of the Council of Europe. "The return of the Russian Federation to the PACE without correction of international legal violations, restoration of Ukraine's territorial integrity, and withdrawal of Russian troops is contrary to international law. The Russian Federation has not implemented a single resolution within the framework of the Council of Europe, the UN or OSCE. There cannot be compromises about the implementation of international law and values," the spokeswoman of Ukrainian Ministry of Foreign Affairs Maryana Betsa said on Twitter on Monday, 27 November. The comment was in response to the statement of CoE Secretary General Thorbjørn Jagland to the British Financial Times. The Norwegian said that the Council is considering the possibility of lifting sanctions earlier imposed on Russia, amid concerns that Russia may quit the PACE. He also called for the return of the Russian delegation to the PACE. Ukrainian MP Volodymyr Aryev, who heads the Ukrainian delegation to the PACE, said that if Russia returns to the Assembly, all PACE resolutions would lose sense "due to self-destruction." "It is not given that PACE will buy manipulations of Jagland's, who has long sought to reduce the clout of parliamentarians in the Council of Europe by discrediting its representative body. And Russia comes very instrumental here. However, such revelations may turn against the General Secretary of the Council of Europe, because he had no mandate from Parliamentary Assembly or the EU Committee of Ministers for voyages and negotiations described in the FT article," Aryev wrote on Facebook. 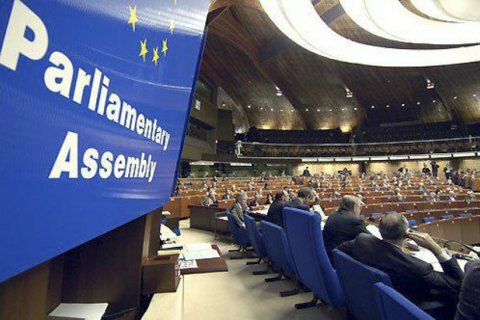 In 2014, the PACE adopted a resolution depriving the RF delegation of the right to vote in the assembly because of the annexation of the Crimea and excluded it from all governing bodies. In the summer of 2017, Russia announced suspending funding for the Council of Europe. After that, the PACE passed a resolution calling for removal of political sanctions slammed on Russia. Domestic diplomatic circles say that Ukraine is ready to suspend membership in the PACE should Russia returns there.